Vancouver is a city located in Canada. It is situated on the coastal seaport and is the largest industrial centre of Canada and today a major region for biotechnology, animation and software development. 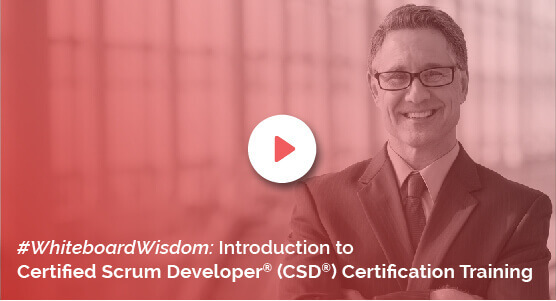 With a number of employment opportunities in the IT field, the demand for those who have the scrum developer certification is on the rise. Knowledgehut offers the CSD course in Vancouver and those who do the coaching see an exponential career growth. The CSD certification in Vancouver is a 5-day course. The first part of two days is where the participants are taught the scrum principles. The institute teaches the roles, ceremonies and ways to work in a scrum environment. In the next three days, one gets to attend the CSD technical track training. This workshop conducts lectures to explain the theory and there are practice sessions that focus on code samples and actual design. The CSD training in Vancouver lets one grasp the concepts well. The Certified Scrum Developer training in Vancouver lets one get trained to apply the fundamentals of scrum. The academy focuses on teaching the basics of setting up standards and best practices for creating quality software. The CSD certification in Vancouver trains one on how to prevent any potential impediment to the success of scrum. The cost to enrol is priced reasonably and the trainer teaches the course material so that one can put better design alternatives in place. The Certified Scrum Developer certification in Vancouver teaches one to use the object-oriented techniques to write extensible software. The tutor demonstrates the scrum tools for participants to gain deeper understanding of how to use the tools. Register on the Knowledgehut website to know the fee for the course and to attend a demo session.